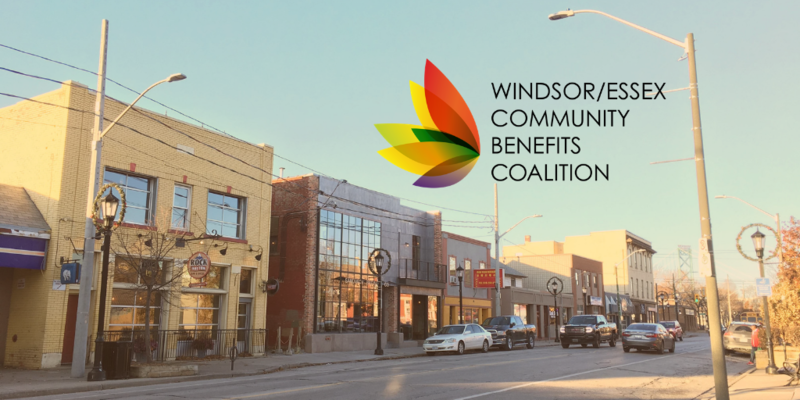 The Windsor/Essex Community Benefits Coalition (WECBC) is a collaborative volunteer group of individuals and organizations from across the Windsor and Essex County who seek to maximize community benefits from major development and infrastructure projects in Windsor and Essex County. The steering team for the organization, which provides strategy, advocacy, and planning. This table represents the voice of the impacted communities around the Gordie Howe International Bridge. Stay up-to-date on community benefits projects around Windsor and Essex County, receive invitations to events, and be part of the growing community supporting CBs. Call to request a physical form (519.258.0000). Complete the application form and email the completed form to us.